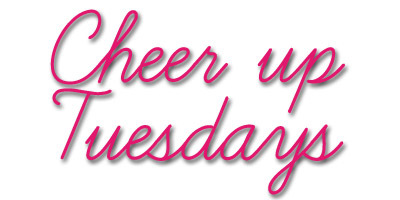 For those of you that didn’t spot the first Cheer Up Tuesday, it’s a little feature I launched to bring some happiness to my blog on the most depressing day of the week! The thinking behind Cheer Up Tuesdays is that I ask some of my favourite bloggers to answer some questions about what makes them happy – and hopefully it’ll put a smile on your face too. Bee, from Vivatramp was a natural choice for this feature. Her blog exudes happiness and positivity, with her H is for Happy posts and sunny outlook on life. Visiting her blog never fails to bring a smile to my face. Here are her answers. Hello, I’m Bee! I’m an 18 year old ditz that lives by the seaside with my dysfunctional family. I’m currently on a gap year and I’m embracing this time off to walk with my boyfriend, learn new skills and snap photos of near enough everything. I’m quite an eclectic little lady; my passions and interests are somewhat quite conflicting but they’re lovely all the same. I’m crazy for Stephen Fry, retaining information, floral prints, cups of tea, travelling, food programmes, writing and culture. I’m also quite nice! I definitely recommend documenting your happiness in life through lists like this; it certainly helps me put a smile on my face and remind myself of the simple things in life that I’d usually take for granted. Of course, all these songs must be accompanied by frenzied mirror dancing and terrible singalongs into your hairbrush. There’s so many more songs and amazing artists that I listen to but I don’t want to turn this into a post about the contents of my ipod! 4. What’s your happiest memory? A memory you think of that always makes you smile? It’s amazingly difficult to pinpoint one solitary memory that puts a smile on my face. I’ve been lucky enough to see some awesome sights and experience some lovely things. Therefore, it’s a difficult question to answer without questioning the validity of my own response. I’d probably say that one of my current happiest ongoing memories is the butterflies I get in my stomach every time I see my boyfriend after a break apart. It’s so clichéd but it honestly does put a huge smile on my face when I think of how elated and safe I usually feel. It always reminds me how lucky I am too! Corr, pass the sick bucket or what?! My interests can be quite conflicting so my idea of a perfect day would involve a mix of both craziness and mind numbing normality. The day would start by waking up to my boyfriend before heading out on a hearty countryside walk with my camera in tow. If it was going to be perfect, it’d result in me taking loads of awesome snaps of the best things in life. To quench our thirst, it’d be followed by lunch in a beautiful countryside pub complete with sun drenched beer garden and cheap cider deals. Lunch would be large as I have the appetite of a horse. No perfect day would be complete without scoring a bargain for myself at a local car boot sale/charity shop. It makes me incredibly happy to stumble across a little piece for a small price tag that can be, to some extent, exclusive to me. My perfect day would end on the beach watching the sun set on the horizon with my boyfriend and a makeshift fire. That’d be the best way to reflect on the beautiful day I’d just had the pleasure of having. 6. I love the way your blog – as you put it – ‘encourages positive living’ and is always such a happy and uplifting read. How do you maintain your positive outlook and attitude to life? Thank you! I’m in no way always happy. I have horrendously crap days intertwined with the best ones but it’s those good ones that I try to make a fuss about. I’ve been self-therapising for a while now to push away all the bad that tried to swamp me a while back. I focus on the good, ignore the things that don’t concern me and keep myself busy by educating myself. That way, I feel a lot more accomplished at the end of the day. I recently guest posted a whole load of tips for maintaining a happy head/heart. You can read that HERE!